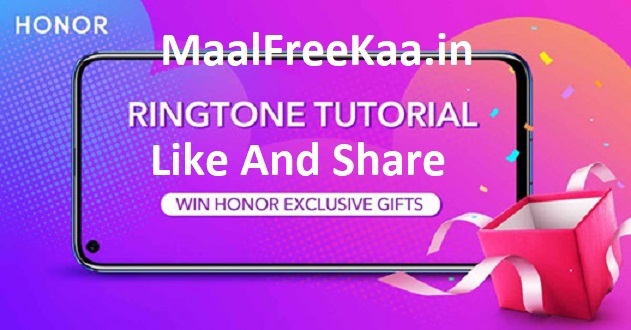 Make Ringtone Tutorial to Win A Band 4 Home, Play Now To Win Free Honor Gooddies Join Now! We know that in our HONOR family, fans come from all over India. We use English to communicate, but there are 22 official languages and hundreds more in the country. 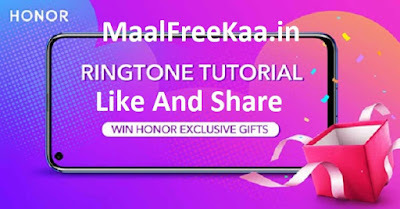 We cordially invite you to join this project, share a ringtone in your native tongue with us. Follow below Instruction for play. Step 3: Upload the video on your personal YouTube profile. 1. Entries must be original work of your own. Entries cannot contain any infringing, threatening, false, misleading, abusive, defamatory, vulgar, obscene, scandalous, inflammatory, pornographic or profane content. The ID will be banned once found. 2. Please give your delivery information within 5 days of receiving our message/announcement or you will be disqualified. 3. Each ID / profile is entitled to one entry only. If someone makes multiple threads/photos,only the first one will be counted. 4. This Contest is open to Indian Fans only.